For use immediately post-laser, post-peel or post-laser hair removal. Offers immediate cooling and soothing relief post-procedure. 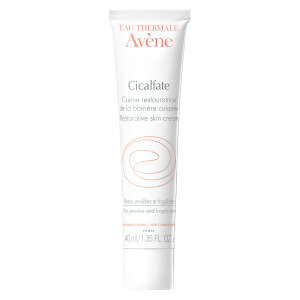 Avene Thermal Spring Water (Avene Aqua), Ethylhexyl Palmitate, Cetearyl Alcohol Triethylhexanoin, Aluminum Sucrose Octasulfate, Glycerin, Cetearyl Glucoside, Dimethicone, Benzoic Acid, Caprylyl Glycol, Copper Sulfate, Disodium Edta, Glyceryl Stearate, PEG-100 Stearate, Sclerotium Gum, Sodium Hydroxide, Toco-Pheryl Acetate, Water (Aqua), Zinc Sulfates.